Spray waffle maker with cooking spray; heat waffle maker. 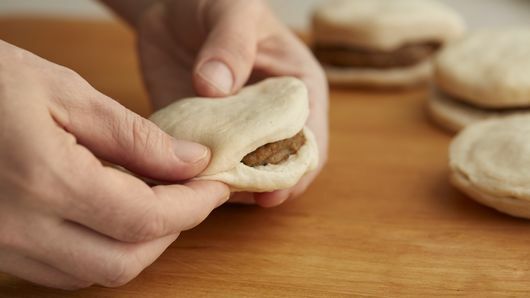 Meanwhile, heat sausage patties in microwave as directed on package. Drain on paper towels. Cool 10 minutes. Separate dough into 8 biscuits. 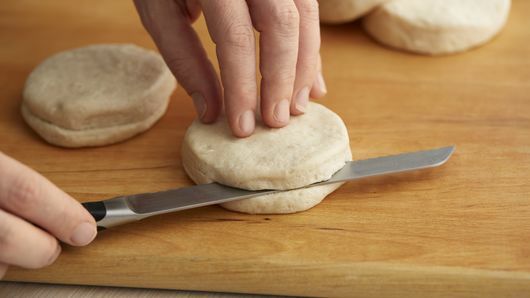 Cut slit on side of each biscuit, forming a deep pocket. Place sausage patty in each pocket. Press edges to seal. Place 2 to 4 biscuits in waffle maker; close lid. Cook 4 to 5 minutes or until golden brown. Remove from waffle maker, and cover with foil to keep warm. Repeat with remaining biscuits. Meanwhile, in small food processor, place cranberry sauce, powdered sugar and maple syrup. Cover; process about 30 seconds or until smooth. 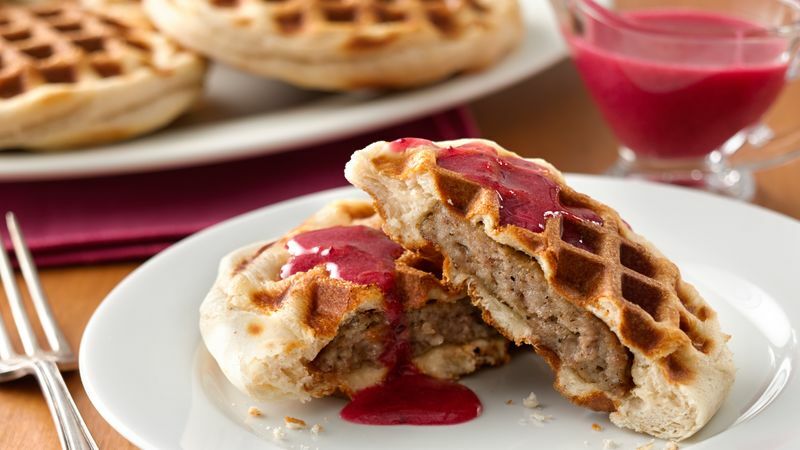 Serve over hot waffles. 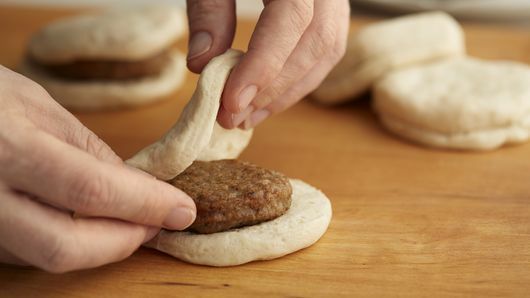 Use your favorite kind of Pillsbury™ biscuits in place of the Original biscuits.